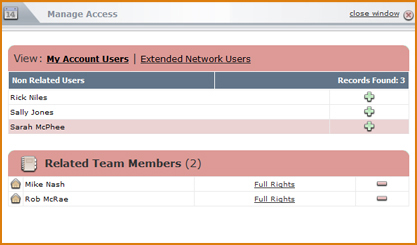 As well as choosing which team members have access to your calendar, you can also define the type of access they have – Full Rights (the right to view and edit) or View Only. 1. From the side navigation, click on CALENDAR. 2. 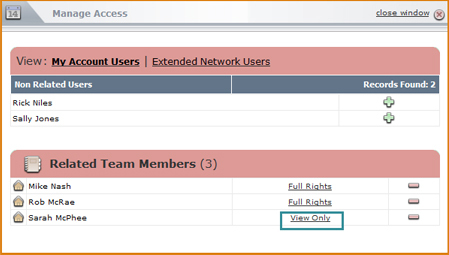 Click MANAGE ACCESS (top right). 3. Click beside a team member to add, or to delete. 4. Click on FULL RIGHTS to change the rights to VIEW ONLY. Click on VIEW ONLY to change back to FULL RIGHTS. 5. When you are finished editing access, close the window.